Many adults come in for their first chiropractic visit because of backaches, headaches, disc problems, digestive conditions or hormone imbalances. The list of medically diagnosed conditions or health problems that lead people to a chiropractor is lengthy. Parents often bring their children in for chiropractic care because they have watched them suffer from conditions such as ear infections, asthma, colds, colic, ADHD or sinus problems. 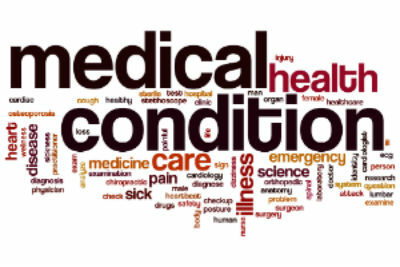 Some conditions are severe and include concussions, juvenile rheumatoid arthritis and autism. Do these people get great results? Do we treat these conditions? The answers are yes, a high number of patients get excellent results and no, we do not treat the conditions themselves. Our primary focus is to locate and correct nervous system imbalances and spinal subluxations that can contribute to or cause the problems in the first place, regardless of the diagnosis. Getting your nervous system functioning properly is essential to help the body heal itself regardless of the diagnosed condition or other treatments that you may have undergone. In fact, if you have a health condition of any kind, the nerve component should be one of the first evaluations you receive. Why? Because if there is a nerve system component to your condition, nothing you do for your problem will be as effective until your nerve system gets healthy. Your nervous system controls and coordinates the function of every cell, tissue and organ of your body and helps you adapt to your environment. Your nervous system is vital in helping your body cope with stress, digest food and eliminate waste products. It will also help you perform at your highest level when engaging in athletic activities. Unfortunately, exploring the nerve component of most conditions is not addressed by the majority of health care providers and symptomatic relief becomes the primary focus. While we certainly want you to feel better quickly, the underlying cause must also be addressed. There are a number of ways that we can evaluate the function of your nervous system. Whether you are suffering from an acute or chronic injury or illness, or you want to improve your health and quality of life, now is the time to schedule a chiropractic check-up.